3 Modes Strobo / Preset (ramping) 8-150 lúm. 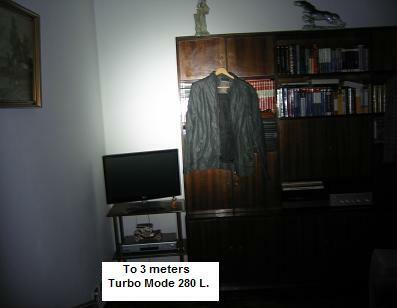 / Turbo 280 lúm. 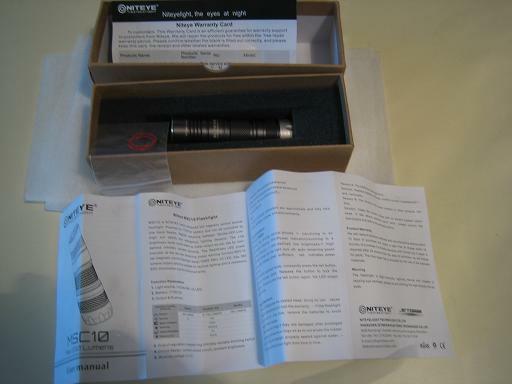 Comes in cardboard box quality, with a set of O-rings and instructions in English and Chinese, that’s all. 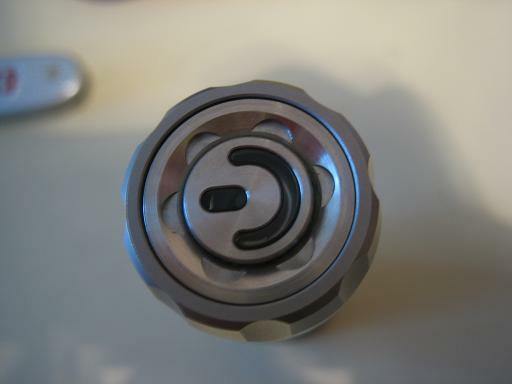 The anodizing is great quality, the walls are thick. 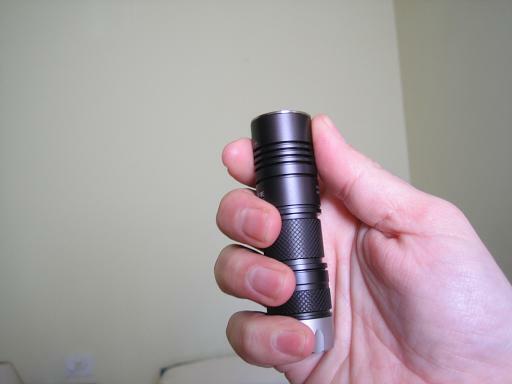 The weight is 65 grams without battery, the flashlight is not light, but is very comfortable in the hand. 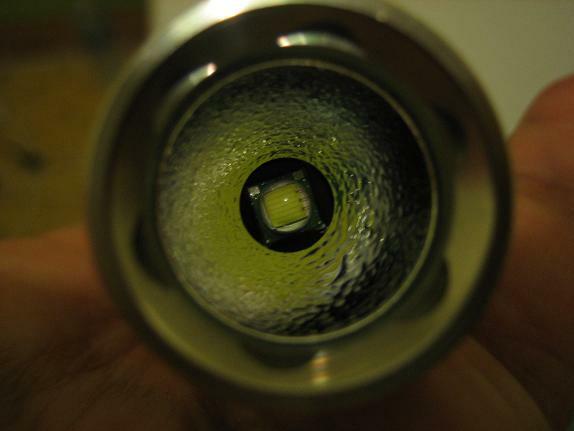 Led XM-L U2. Perfectly centered. The tint is very nice, is neutral – kinda cool, but not too much. 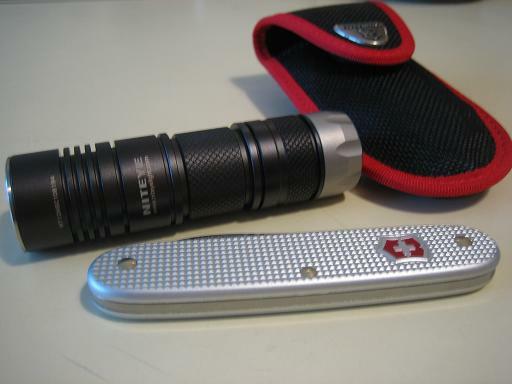 The reflector is not too deep, it’s rugged, thanks to those 280 lumens give us enough throw to perfectly as EDC, and also for outdoor (as an emergency). The battery fits perfectly, no rattle. 3 Parts ; Head , Body and Tail. 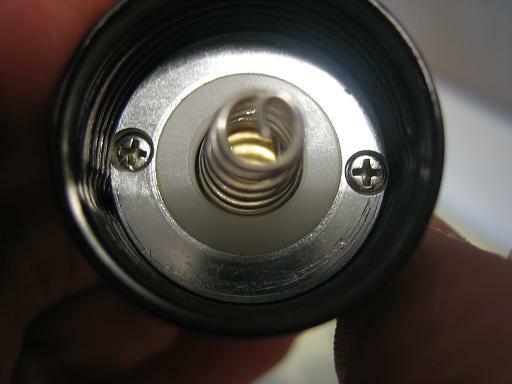 In the head there lanes facilitate heat dissipation. 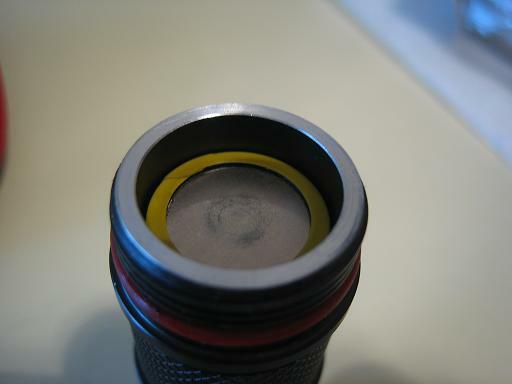 The knurling is not strong, but it is enough. 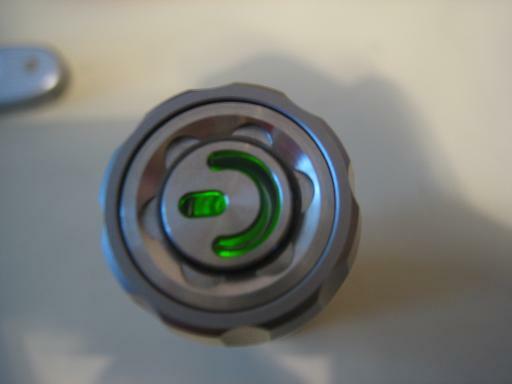 Tail Magnetic Ring with 4 positions (I’d like to see a mark to the selected mode).Strobe – Off (green or red indicator tail-cap for 2 seconds according to battery voltage) – Preselected mode (ramp from 8 to 150 lumens)- Turbo 280 lumens. The rotation of the magnetic ring is approximately 120 degrees. Electrical switch in the tail. It has dual function, with ring in position off, press switch 2 seconds and you can see if the battery is low (red) or ok (green). 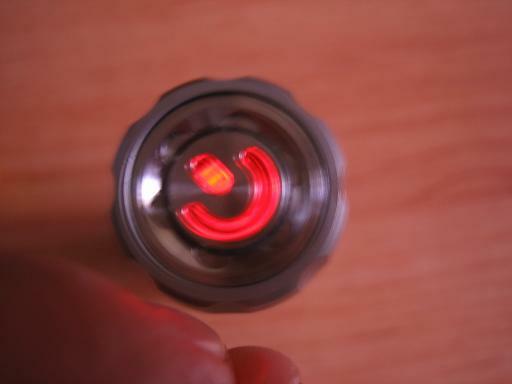 With magnetic ring in position strobe, preset or turbo press shortly switch and the flashlight is on or off in the selected mode. In the Preset position, a long press of the switch and start the ramp (between low and high about 4 seconds). 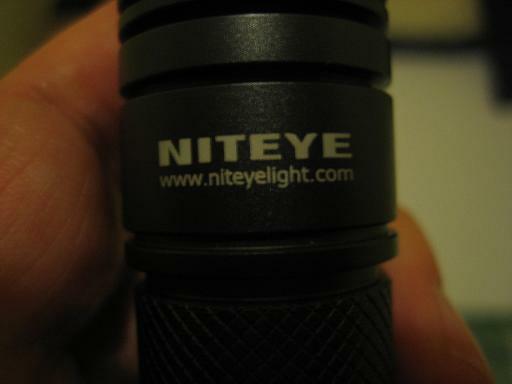 The ramp stops to arrive at 8 lumens or 150 lumens. The selected power is stored. The interface is easy, but I prefer the magnetic ring on the head. Still very usable. 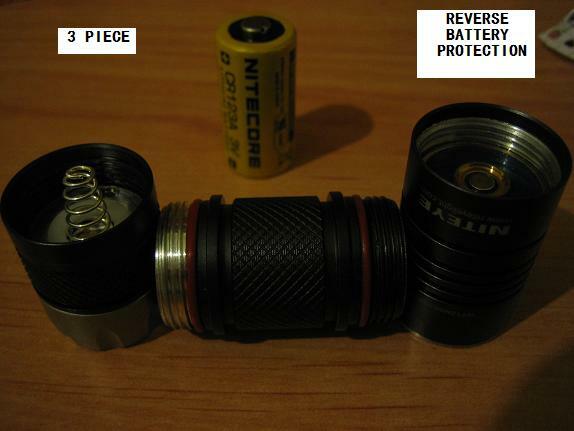 For the runtime I use a Nitecore primary CR123A battery completely new. 3.28 V measured before starting the test. 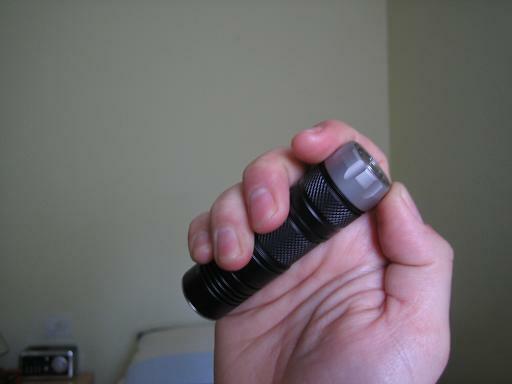 The flashlight do what he promised. 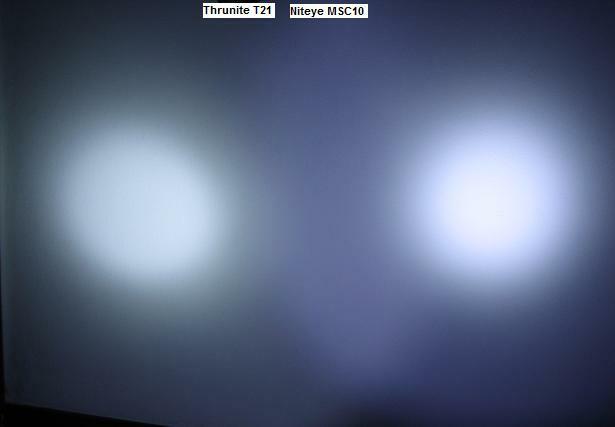 After 60 minutes has only dropped 10% intensity (1360 Lux). It is a highly regulated. Considering that the maximum 1-minute touches to 1500 lux for 67 minutes provides 50%. So will assign that value to the runtime on high “67 Minutes”. Drops rapidly from 63 minutes to process the test 80 minutes at 230 lux, still usable. 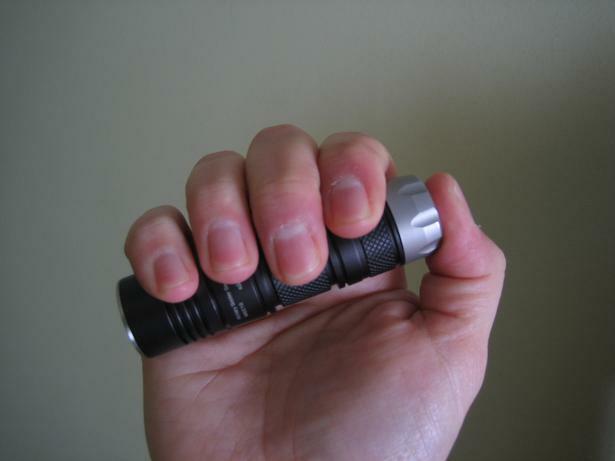 Flashlight in hand has not overheated when I left 10 minutes without grabbing, the temperature rises rapidly, but dissipates in hand well. I’ve checked the low battery warning from the 45th minute, in the 68th minute with only 650 lux, gets first red. 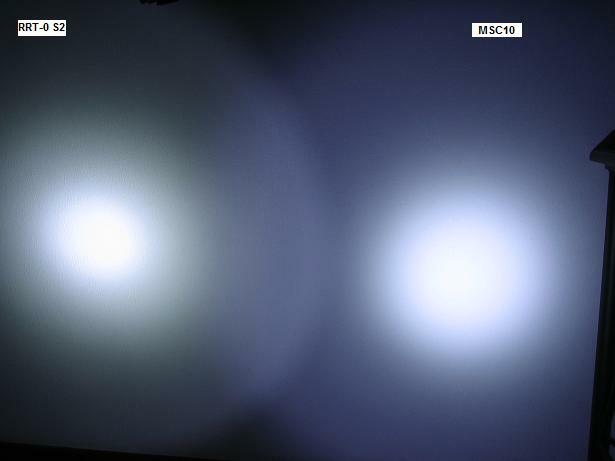 (turned off the flashlight 2 seconds every 3 minutes for testing). 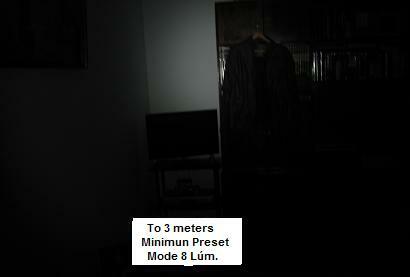 For the preparation of the table data I have used lux at 1 meter measurements obtained every minute for 80 minutes. An hour and a quarter off the flashlight, the battery has recovered to 2.5V and low battery warning turns green again, down to 2.4V as redials red. So between 2.4-2.5V is when you start dialing low battery (always turn off the flashlight to see the display). - New interface, very “tactical”. 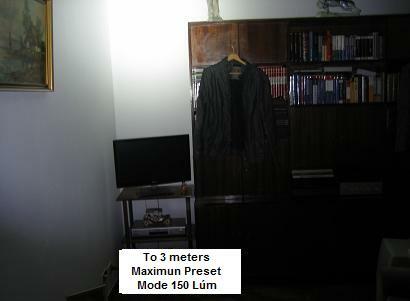 Quick access to high mode, low or strobe. 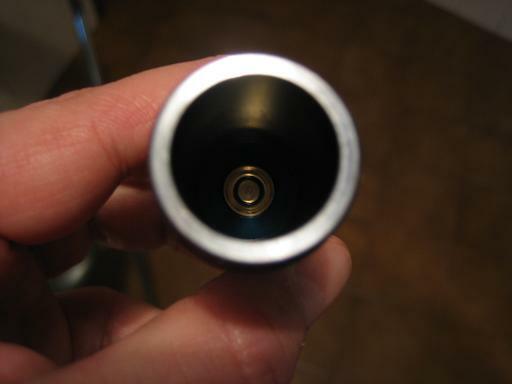 - No clip, no hole for a lanyard, and rolls on smooth surface. It is a serious error and easy to repair. I do not understand. And for me the flashlight makes losing a point in the final score, sometimes the little things prevent something perfect. For these reasons I can only give it 4 stars, but in other respects is outstanding. 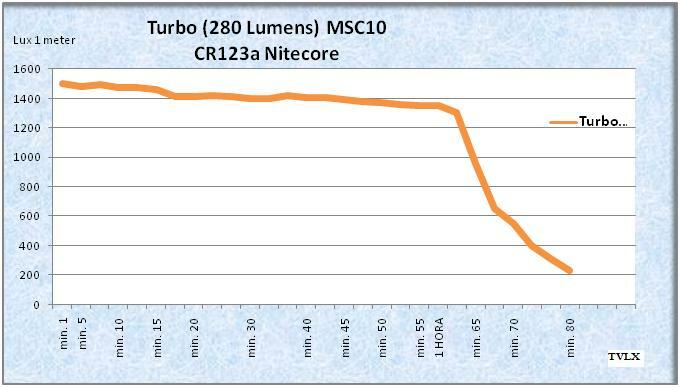 Compared with all my CR123A. Great review and nice collection you have there, eh? 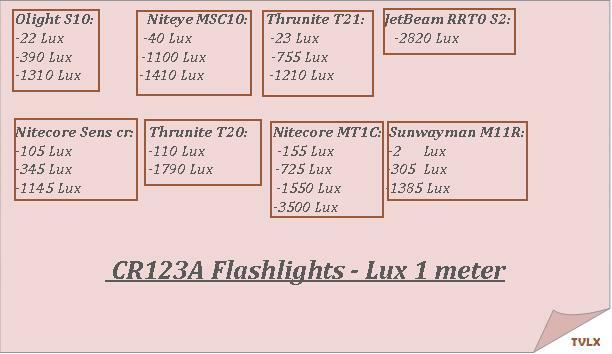 The CR123A have become my favorite flashlights. I enjoy making reviews, I hope to improve with practice. 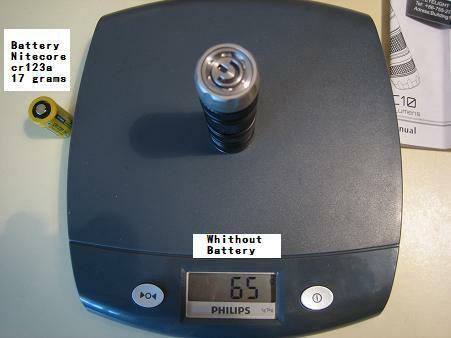 I have fear of rechargeable lithium (I have only one battery 18650). 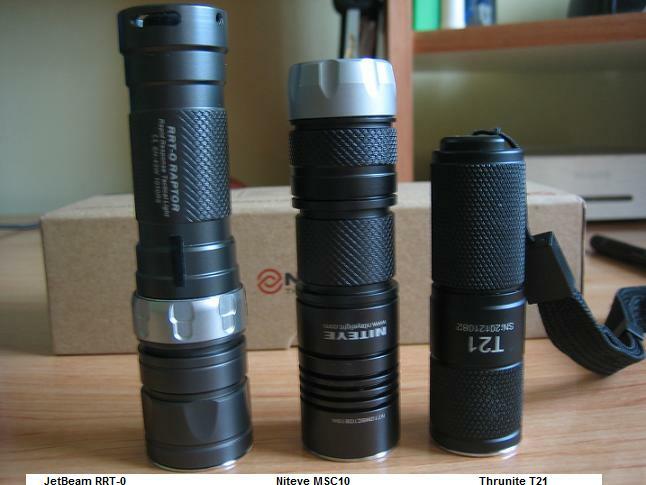 The “CR123A flashlights” I use them as edc, primary batteries bought in “eu.nkon.nl” I bought 10 batteries at a time and they last me 5-6 months. 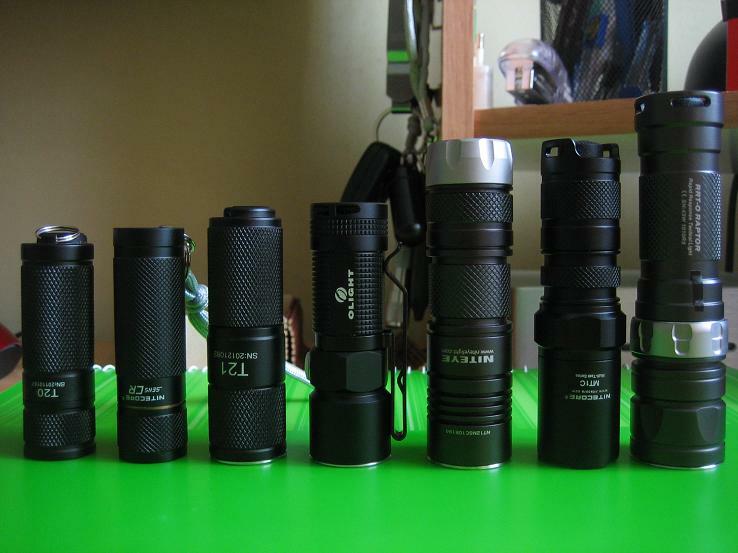 If I need flashlight for outdoors, …. I use 1xAA, 2xAA or 4xAA. 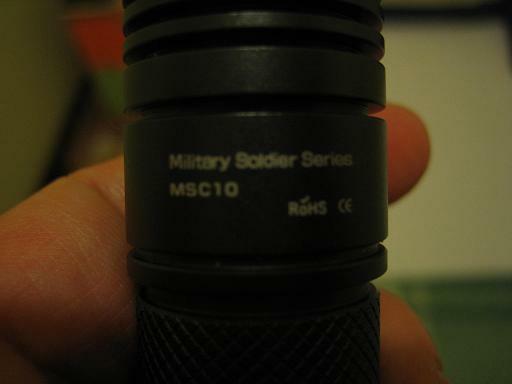 thanks for your great review, very like the MSC10, in the picture the T21 and T20 are small, what is the brand? thanks very much, where do you buy it from? Find deals on ebay, you may find the best price. 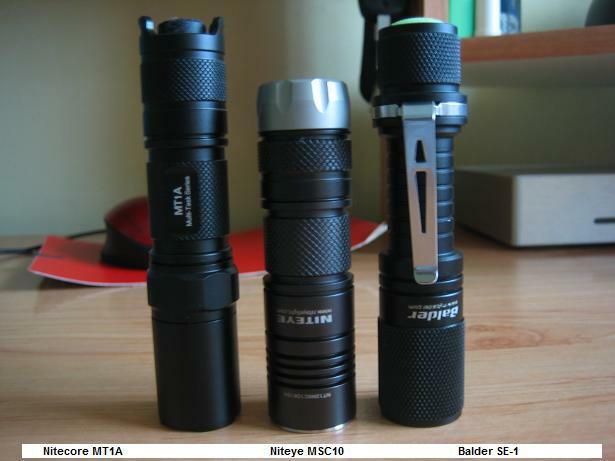 The new version of the T20 is called Saber Thrunite 1C, take XP-G2. I think it’s best option, but a bit more expensive. Nice review! Thanks for taking the time to make it. That light is very nice with great features but I just can't embrace the controls in the tail cap like that. 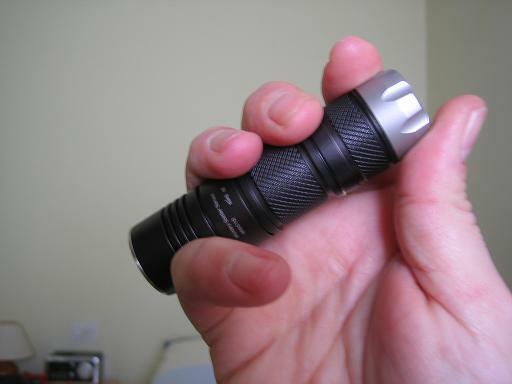 Seems like you'd have to wrap your pinky around the tail end and rotate the whole light with your thumb and index finger in order to use it one handed. You’re right. Interface is not perfect. I don’t know which is good? can you give me some advise? Try offering $ 32-33 for T21, or try offering 22-23$ for T20. 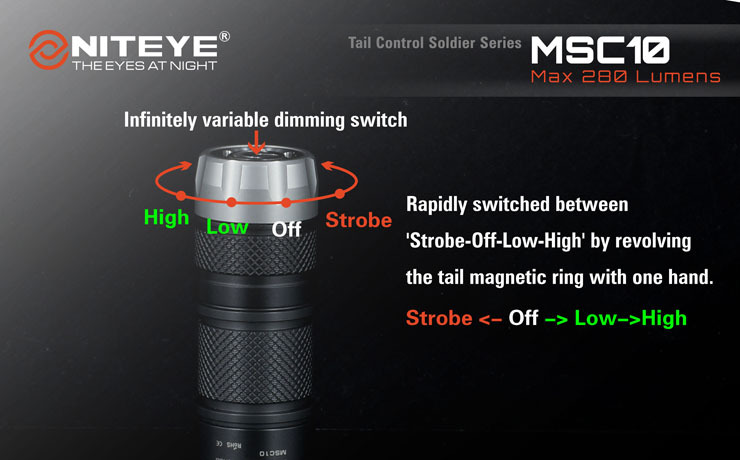 The cheapest place I’ve found to buy the MSC10 is doingoutdoor.com (with coupon code : 0678ea26dd 56,99 $ ).